Although you may not be dancing the night away on a regular basis, hip pain can be more than just inconvenient… It could be downright dangerous! 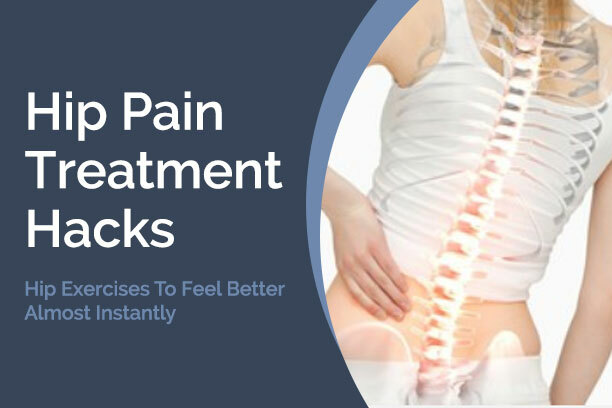 Try these four easy to use hip pain treatment hacks to get those hips shaking again like they used to! Warm up with some stretches and let’s get ready for the lying lateral leg raise, the seated butterfly stretch, the glute bridge, and the lying hip extension. This incredibly simple hip exercise is so quick and effective you can spend just a few minutes in the morning energizing those hips before hopping in the shower and going on with your day. Always keeping your leg straight, lift your leg up as far apart from your other leg as you can. Do this slowly for about 15 repetitions per leg, and remember the cardinal rule: Go with how you feel. If you start to feel strain or pain, stop immediately. This one is our favourite when it comes to opening up stiff hips! Start by sitting down on your floor and press your the soles of your feet against each other. Picture the way toddlers sit on the ground. Gently direct your heels inward towards your body as far as they can go – which means your knees will stick outward on each side. After that, just slowly lean your upper body forward as far as you can comfortably go… And then hold for 10 to 20 seconds. If you can do this for 15 reps, you’re golden baby, golden! This hack is almost… Yogic – but don’t underestimate its effectiveness even if you don’t have a single spiritual bone in your body! Start by lying down on your back with your knees bent, and then slowly thrust your hips forward, off the ground and as far up as you can. Make sure you keep your back straight throughout this exercise – you are not curving your lower back, simply lifting your hips forward, bending your knees at a 90 degree angle. Try to hold in place like that for 10-20 seconds, and then slowly and gently bring your hips back down, resting your buttocks back on the floor beneath you. Try this awesome hip pain treatment hack 3 to 5 times daily. So far, we’ve had you on your back, your sides and sitting upright… Naturally, we can’t ignore your front either (it just wouldn’t be fair!). For this exercise, lie flat on your stomach, and fold your arms under your chin to support your head. Once comfortable, keeping your legs totally straight without bending your knees, raise your leg up behind you just a few inches off the ground and hold this position for a few seconds, then gently lower your leg and raise the other one. Do 10 reps for each leg and see how long you can comfortably hold! 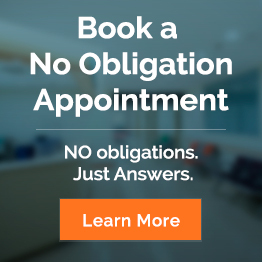 Now, if you feel you’re ready, book a no-obligation appointment to see one of our specialists today to get a thorough analysis of your hip pain, as well as get you the treatment you need for optimal health and vitality!